Is it true Unnie ??? IT’S TRUE CHINGUDEUL !!! [ANNOUNCEMENT] It’s signed and confirmed.. MLive present JYJ Live Concert in Indonesia, April 9th, 2011. Promoted by DreamCatcher Indonesia and Buck Up Show. Stay tuned for more detail soon and don’t ever buy any ticket until our next official opening ticket information. TR : [PENGUMUMAN] Sudah dipastikan dan dikonfirmasi. MLive mempersembahkan JYJ Live Concert in Indonesia, tgl 9 April 2011. Dipromosikan oleh DreamCatcher Indonesia dan Buck Up Show. Tetap lah menunggu untul detail lebih lanjutnya. dan jangan pernah membeli tiket apapun sampai pengumuman resmi dari kami soal penjualan tiket dan info2nya. Wuah, Indonesian Cassiopeia! You did it! SUCCESS!! Hopefully, with this, JYJ and other Korean artists who never realize the euforia from Indonesian K-Pop Lovers, can open their eyes and finally there will be a lot of Korean artists who will hold their official concert in here. For more info you can follow @DreamCIndo and @JYJIndoPetition on twitter. This entry was posted on February 18, 2011 by heedina. 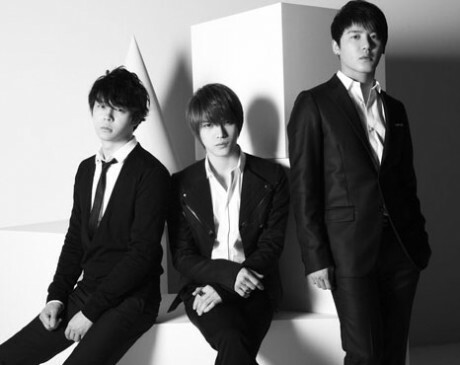 It was filed under Boy Band, Concert/Show, News, Official and was tagged with Concert, JYJ.